What’s The Expiration Date On That Arts Organization? A couple weeks ago Grant Makers in the Arts posted a piece by Rebecca Novick, Please Don’t Start A Theater Company. I had been thinking about the article for some time now when I saw a similar piece by David J. McGraw, The Epoch Model: An Arts Organization with an Expiration Date. Epoch Model… was published back in 2010 in 20UNDER40: Re-inventing the Arts and Arts Education for the 21st Century. I was going to devote part of this entry discussing the similarities between the two, until I realized Rebecca Novick’s piece also was published in 20UNDER40 back in 2010 and is not appearing for the first time this year. What McGraw suggests in Epoch Model.. is that arts organizations should form for a seven year life span and goes on to make some interesting arguments about the benefits of doing so. It really isn’t a new one. I have recently been reading up about Lloyds of London which has technically reconstituted itself every single year since 1774. That may not be the most apt comparison to what McGraw suggests, but Lloyds originally insured sea voyages which many times were funded by groups that came together to invest solely in a voyage or trading venture and then dissolved thereafter. Both Novick and McGraw provide examples of groups that realized their usefulness was over and willingly dissolved and suggest that people looking to form new arts organization integrate an expiration date or expiration conditions into the very formation of the organization. •A single founding vision can guide the organization from start to predetermined finish. 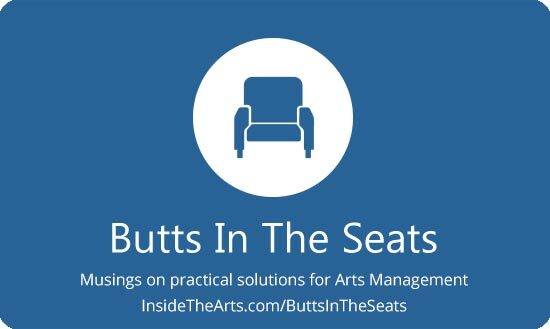 •Productions, exhibitions, and initiatives can be selected to follow an artistic arc rather than merely filling generic programming slots year after year. •The company can plan its organizational growth and contraction with an eye towards its end. •Its membership can challenge itself to fulfill its mission with greater urgency, knowing that this collaboration is a fleeting opportunity with a defined commitment from each member. •Audiences will know that they cannot take the organization for granted and that the organization represents a specific period of time, or epoch, of the artistic life of the community. He talks about the boon to real estate if the property owner in a bad market knows he can find a tenant who will occupy the property until things turn around, in the process possibly adding value to the neighborhood, as artists often do. He also notes that an arts organization dissolving in their relative prime will actually contribute more to the community than an organization which has had to close because they were no longer financially viable. The former has a fair bit of property to pass on to various community entities, the property of the latter is generally liquidated for the sake of creditors. Based on my reading of both articles idea of a transitory organization makes sense. We are discovering that the 501 (c) (3) model doesn’t really work for everyone. A temporary formation allows groups to essentially experiment with structures that work well for the participants and make sense for the particular community. It could be for a few months to accomplish a single project or it could be for a span of years. The board and the staff may be one in the same or they may be different entities. I hate to invoke the image of viruses, but the short life cycles of the organizations could evolve a structure that is both effective and resistant to the travails of the social and economic forces of the time. Which of course means that continual evolution is required to meet the ever swifter shifts in social and economic forces. There a few forces working against this sort of approach and they all involve money. As both authors note, the ever renewing arts organization idea is great when you are 20something, but once you want to settle down and get some stability, you aren’t going to want your arts organization to go gentle into the good night. Or you are going to start seeking work at conventional arts organizations. This might actually be a good thing. The infusion of people who have experimented with versatile approaches may keep the conventional organizations vital. The other issue is that funders support a pretty narrow approach to the arts. There are certain characteristics they seek and performance measures they want to evaluate. If you have a history of success mounting a site specific dance piece in a warehouse and visual arts installation in a historic hotel but are looking to fund a theater piece in shipping containers on a barge, you may not meet any number of criteria related to being an established organization. One thing that occurred to me as I was reading both pieces is that the people forming these organizations would have to invest the time to draw up agreements and keep good records of meetings discussion how resources will be allocated, etc. The benefit of existing corporate structures is that there are established laws which dictate the rights of board members, employees and customers. It is easy to discount the importance of such arrangements when everyone knows the organization won’t endure. In the absence of a clear structure, people may not be paid what they are owed, conflicts may arise over ownership of assets and the board members may discover they are personally liable for the outcome of a lawsuit because no insulating structure exists. In all, some interesting ideas are expressed in the articles, including the sobering concept emerging rather frequently that our organizations don’t necessarily have a right to continue to exist.